tourism sector of Rwanda has got many tourism opportunities, and these have brought about growing the numbers of tourists who have visited Rwanda for safari tours. These revenues which are collected from the tourists have helped in developing the tourism sector in Rwanda. 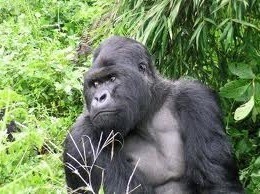 Rwanda has got many mountain gorillas which are found in volcanoes national park, and these have attracted many gorilla tracking tours to Rwanda. The tourism industry has emerged as the top foreign currency earner ahead of coffee and tea. The number of visitors to Rwanda‘s national parks has also expanded employment opportunities to the people of Rwanda. The government of Rwanda has partnered with the ministry of tourism in Rwanda to help in marketing the tourism industry to the outside world and this has helped in financing different projects of the tourism sector, this has helped in marketing and promoting of the tourism sector. Rwanda has got many tourist attractions which include; the mountain gorillas, chimpanzees, bird species, national parks full of wildlife species, culture and many other attractions which are loved by the tourists who come to safari Rwanda. These have greatly led to increased revenues to the country.